Concerning the attached memorandum regarding client financial and reporting changes. 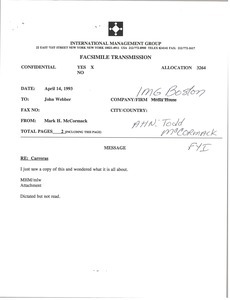 Asks Webber to explain contents of attached letter, in which Jose Carreras disagrees with Harvey Goldsmith's expertise and threatens to part ways with IMG. 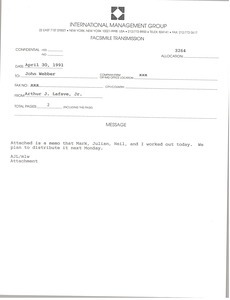 Fax also forwarded to Todd McCormack.